Most would be more upset at losing cell phone than wallet, claiming cell phone is more valuable. Those that attend church more than 4 times a month are 4 times less likely to smoke, 2 times less likely to drink, and 3 times less likely to use drugs. Those that have family dinners with their family are 4 times less likely to smoke, 2 times less likely to drink, and 2.5 times less likely to use drugs. Teenagers of this generation will text on average 5 times more than adults. One poll says 80% of teens sleep with their cell phones. 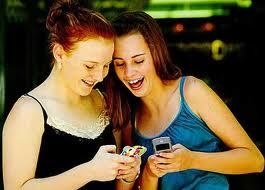 Girls between 14-17 are the most frequent texters, averaging 100 texts a day. Tested Bungee-Jumpers – I always have wondered how bungee jumping is tested before jumpers go…and how they don’t hit their head. But anyways, before I would ever do that, I would want to see some tested results. Well, you don’t have that problem here. This book has been tested. Many of the authors are veteran youth pastors who have been there, done that. So you can trust what they say has been put to the test. Practical – The information is practical. There were several times when I stopped reading so I could write down an idea to implement. Ideas about getting into public schools, relationships with parents and forming a youth ministry team were easy “plug-in and plays”. Biblical – Don’t know about you, but I’m not a fan of any youth ministry book that isn’t Bible-based. Well, this book is certainly not short on Biblical reasons for what they have to say. I appreciate that. Where do you get a vision, where do we get our mission, where do you find purpose….answer those with THE BIBLE. This book does that. Excuse me, can you be more specific? – Occasionally, would be generalized statements. To be fair, this had to be done because no youth ministry is the same. But my enjoyment came when I read real ways to do things such as: Guides to event planning, specific outreaches to do in public schools, characteristics of a youth leader…all these were found in the book. I want more specifics…that’s what I likey. Where is the student voice? – I realize not everyone is an offspring of Joshua Harris, but that doesn’t mean they can’t write a chapter. I would have loved to hear a collection from the students. Surveys of students would also have been cool to see. Just a thought. Overall, I enjoyed the book. It was so practical and encouraging to me as a youth pastor. Need a stick to poke that fire in your heart…this book can do that. In case you missed it, here is my review on “The GreenHouse Effect”. Prayer – This is an essential element in any part of the mission statement. Even though this was in part one, it cannot be overlooked in part two. Reason: I will answer that with questions. Who is your mission from? How do you get your mission? Where do you want your mission to take you? These questions should not be answered without the use of prayer! Short & Sweet – I’ve seen mission statements that are longer than the Constitution. We are looking for precise, accurate, and reachable. Those words are not words that go hand in hand with verbose, wordy, and hard-to-remember. Easy to Remember – Don’t be too cute with this where you have to use your thesaurus to find words that fit the acronym A.W.E.S.O.M.E. But there is some benefit to having your purposes start with the same letter, or end with –ing, or maybe (remember the don’t’ be too cute) rhyme. Mission Statement’s First Born – Your mission statement should “birth” your purposes. The purposes of your ministry should be found easily in your mission statement. They should not be so different. Purposes should be 1-2 word descriptions of the different goals found in your mission statement. Logo – Often overlooked is the logo. 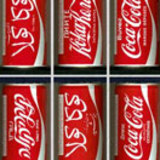 There is a reason why people living in jungles can recognize a Coca-Cola can, or if you lined up a kid from every continent on this planet, they could each tell you what a happy meal was in their own language. The logo is recognized. Choose a logo that can easily be recognized, is professional, and wouldn’t embarrass you if it was on a letterhead sent to the President of the United States…or more realistically to the branch manager of Chipotle when you ask for donations. How did you develop your mission statement & purposes? If you haven’t, what are you aiming at in your ministry? Remember, if you aim at nothing, you will hit it everytime!